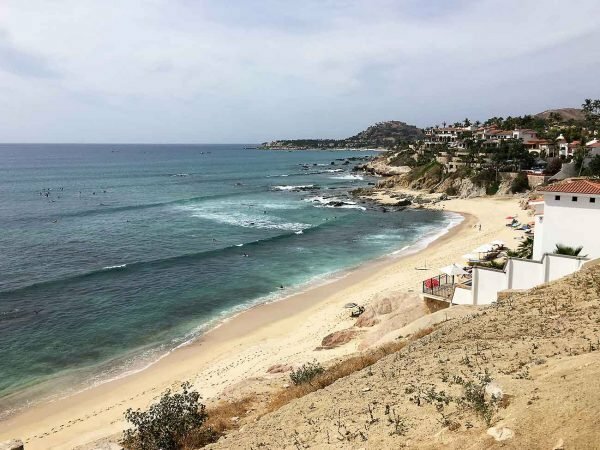 The surf break north of the arroyo on Playa Costa Azul, San Jose del Cabo is known as Zippers and is for the more advanced surfer. 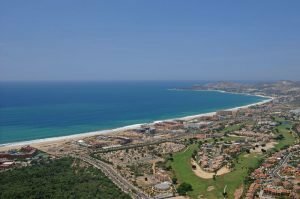 For great summer surfing head for Playa Costa Azul (Blue Coast Beach). 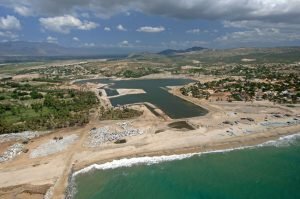 The surf break north of the arroyo is known as Zippers and is for the more advanced surfer. Two breaks exist to the south – The Rock, and Old Man’s. The Rock is best for intermediate surfers and the second (a.k.a. Acapulquito Beach) for beginners or long boarders. There’s a surf camp, rental cabañas, beach restaurant, convenience store and services. 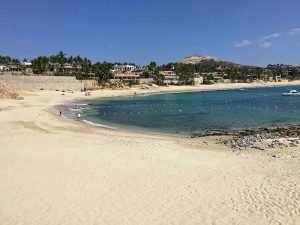 This mile long beach expanse runs from the south side of the San Jose del Cabo estuary next to the Presidente InterContinental All Inclusive Los Cabos Resort ending at the Las Mañanitas condo resort development on the south. Most of the hotels in this region feature fine pools and beach side activities, excluding swimming in the ocean. 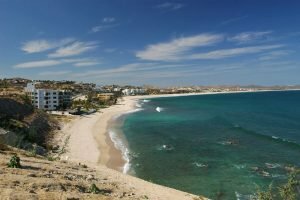 Photo is of Puerto Los Cabos at La Playita on September 05, 2005.